Oh look at those lovely red cheeks! A lovely smiley photo and perfect link with Country Kids too. Great to have a park with all that sand too! Thank you for linking to Country Kids. Awww someone looks very happy. awww, love the little red nose! 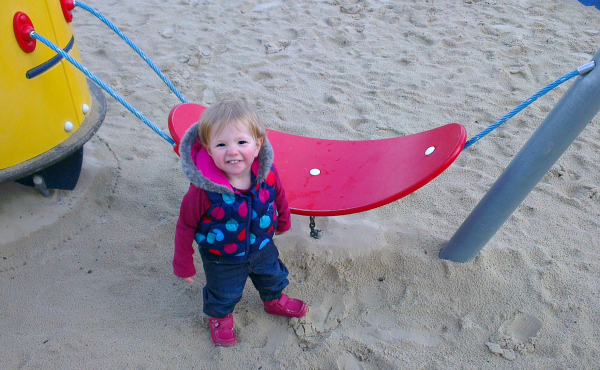 Sand in the park, I like this and looks like Amy does too! What a beautiful face she's got, and so happy!